Each month, the MU Alumni Relations team will add a brief Postcard Profile of an interesting graduate of Misericordia University. Lauren Gorney '12 is traveling the country #OntheRoadwithMU #arch2u meeting with alumni from all generations to share the latest news about Misericordia and hear what's going on in the lives of our alumni. For more information, email her at lgorney@misericordia.edu. 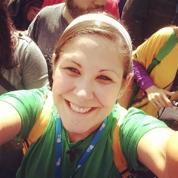 The Florida sun was calling to 2012 OT alumna Stephanie May after graduating from Misericordia. Stephanie now resides in the Tampa Bay area, and if you knew her when she was a cheerleader at MU, you would not be surprised by where life has taken her. Stephanie now works as an occupational therapist in an outpatient center specializing in the treatment of hands. She has also returned to cheerleading after stepping away from the sport for 5 years after graduating from MU. Stephanie took the plunge and auditioned for the Tampa Bay Buccaneers Cheerleaders - landing a spot on the team. Her experience with the Tampa Bay Buccaneers organization has reached far beyond cheerleading and dancing. Stephanie has had the opportunity to be an ambassador for the organization as well as a part of its community outreach. Stephanie attributes her love for wanting to get involved in the community to the volunteer opportunities that she participated in at MU. She feels that it has a large part to do with the way that MU shapes its students – to be those who love giving back, have a good heart, and have a great outlook on life. Bringing everything full circle, Stephanie now takes on her own fieldwork students. She truly appreciates the education that MU gave her – noting, in particular, the comprehensive curriculum and the professionalism of the program. Stephanie and some of her fellow alumnae also get together every year that they can to support the Misericordia Cheerleaders at Nationals in Florida. It is great knowing that there is room in Stephanie’s heart to be both a Buccaneer and a Cougar for life. From playoff game-winning goals to working on Wall Street, ’14 alumnus Nick Santillo never forgets his undergrad roots at MU. 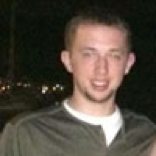 Nick has put his accounting degree to good use in Manhattan, where he works as an auditor for a public accounting firm. He spends most of his Monday through Fridays bouncing around the ‘Big Apple’ from the Freedom Tower to Park Ave. In his down time, Nick stays close with his fellow men’s lacrosse alumni, the largest single class of men’s lacrosse players in MU history. Coach James Ricardo remembers the freshman days for Nick and the team very well. “Their group came in and worked out hard together, trained together, and wanted to be the guys that got us to the next level”, and that’s exactly what they did. In Nick’s sophomore year, the team had their best season ever. In his junior year, Nick took it a step further when he scored the game winning goal in double overtime, which propelled the team to their first ever conference championship. Nick is enjoying his professional career and life after graduation, but MU is never far from his mind. “ I’m looking forward to Homecoming and the alumni lacrosse game. We were just like a family, and we’re all still very close.” Join Nick, the men’s alumni lacrosse team, and the Class of 2014 at this year’s homecoming, Saturday October 1. Young, scrappy, and free, Misericordia’s own Jeff Kelly is taking MU Theater to an entirely new level. Jeff, a ’12 ’14 alumnus, has been part of the Misericordia entertainment scene since he was only twelve years old. He began as a volunteer for Under the Stars, an annual MU summer concert series, and is now the Manager of Cultural and Special Events. 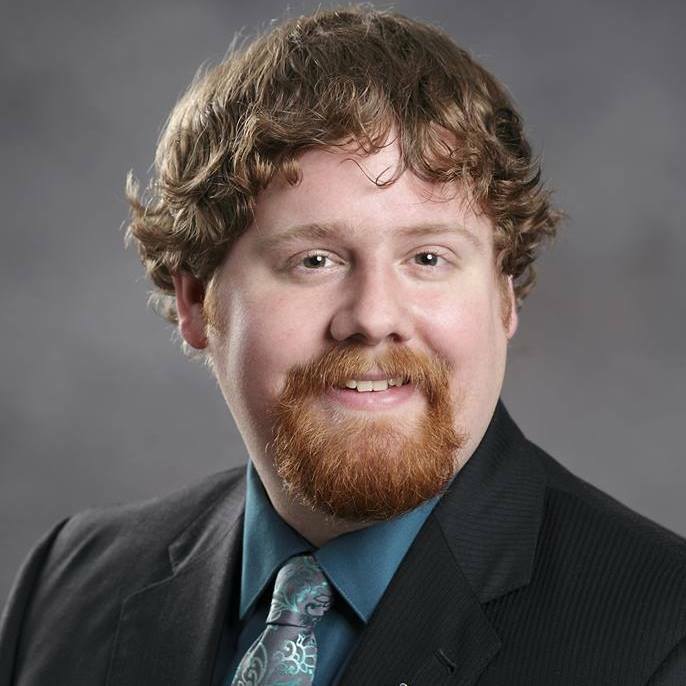 In the spirit of service, Jeff uses his passion for the arts in his role as the Theater Director at MU. Jeff recently traveled to NYC where he had the opportunity to attend a “Meet the Artist” master class with creator and star of Hamilton, Lin-Manuel Miranda. What was it like to learn from the hottest name on Broadway? “Inspiring” said Jeff. “Lin is such a down to earth person, he embodies the ideal artist. He is in the business because of his passion for the Arts, and he was a teacher first; he is in it for the youth of our society.” The same can be said of Jeff, as he too works with theater students at Dallas High School and the Performing Arts Academy, in addition to his work with Misericordia students. As for the Kelly Family and theater, you could say it’s in the genes. After some time out of the limelight, Jeff recently took up a role in "Midlife the Crisis Musical" with his sister and fellow ’04 alumna Angela Kelly, and ’04 alumnus Harry Blaine McKeown, director of both "Midlife the Crisis Musical" and theater productions at Dallas High School. There’s no telling where Jeff’s talent will lead to, and we are certainly looking forward to it! As for what’s next, Jeff said he is looking forward to “flourishing and growing a strong theater arts program.” That’s a wrap! As for that Mercy, Service, Justice, and Hospitality? Meghan is already right back to work helping others. 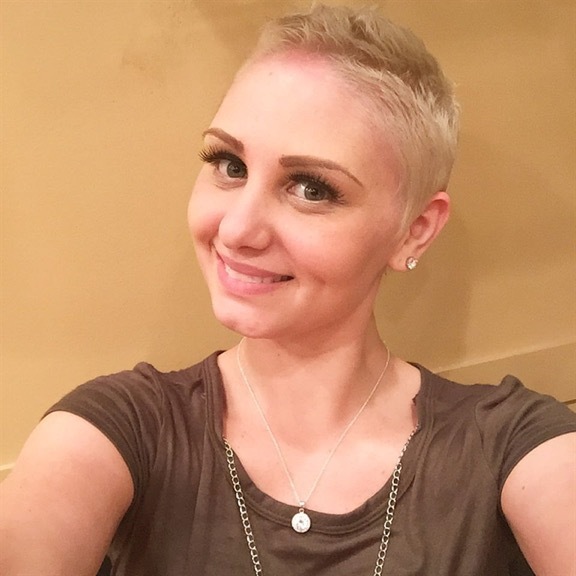 “My hope is to save a life through early detection, and forever make girls going through chemo feel beautiful. It is important to always stay positive and true to yourself, because it’s that inside sparkle that makes someone truly beautiful." The future is looking bright for ’13 English Alumna Grace Clancy Riker! 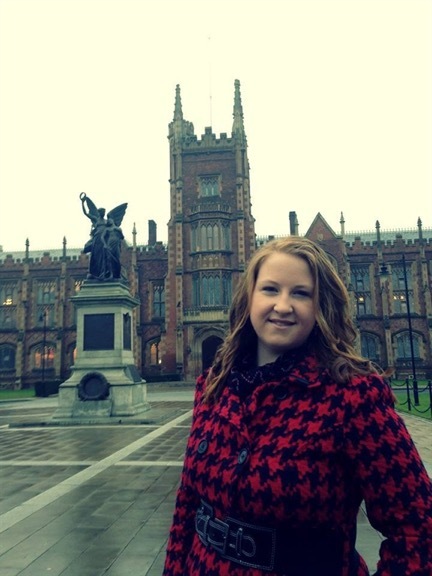 After earning her Bachelor’s in English from MU, she obtained a Master’s from Queen’s University in Northern Ireland. She currently lives in New York City. Grace has always had a passion for theatre and the performing arts, and most recently auditioned amongst 700 other women for the role of Tracy Turnblad in NBCs Hairspray Live. She fondly remembers her days on campus in Lemmond Theatre while working on various shows and Beyond Harmony rehearsals. Grace is very grateful for her foundation at MU, and thanks all of her English professors that “pushed me very hard to prepare me for the real world” as well as “the Field Hockey teams and Coach Stahovic for their structure and support.” Grace continues to exhibit our charism of service, and is establishing a Brain Aneurysm support group in NYC through the Joe Niekro Foundation. She is also organizing volunteers for "A Cerebral Affair", a gala held to raise awareness and to find early detection of Brain Aneurysms and AVMs. 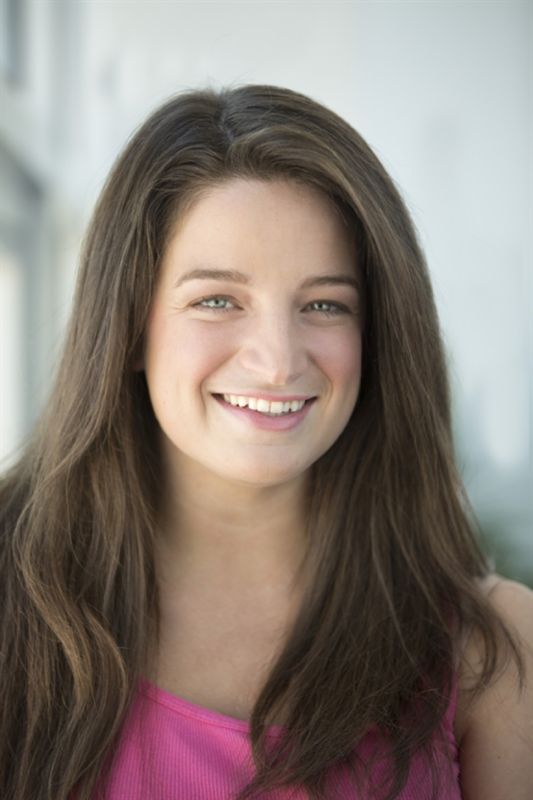 Beth Guarnieri ’09 communications Alumna hits the big screen April 27th in the film “Ticking Hearts”. The movie will premiere at Regent University, where Beth is currently pursuing her MFA in Acting. Beth is no stranger to the limelight. As a student, she co-founded the first television show at Misericordia (Cougar Cast) and was the captain of the Cheerleading squad. She is also 1 of 5 sisters that have attended MU. The Guarnieri Dynasty sisters, Katie, Marianne, Bridget, Maggie share a unique bond, in that they are all MU alumnae. “One thing I love is that we can all call Misericordia home at some point in our lives and even though we are spread over 10 years, to have that shared experience forever is something that has brought us even closer and I will always cherish,” she said. Although Beth is constantly on-the-go, she often thinks of a special place here on campus. There is a bench in honor of her grandmother that overlooks McHale Beach… and that to her is “home”. Family and finance are perfectly paired in the life of ’12 Business Alumnus Max Weintraub. 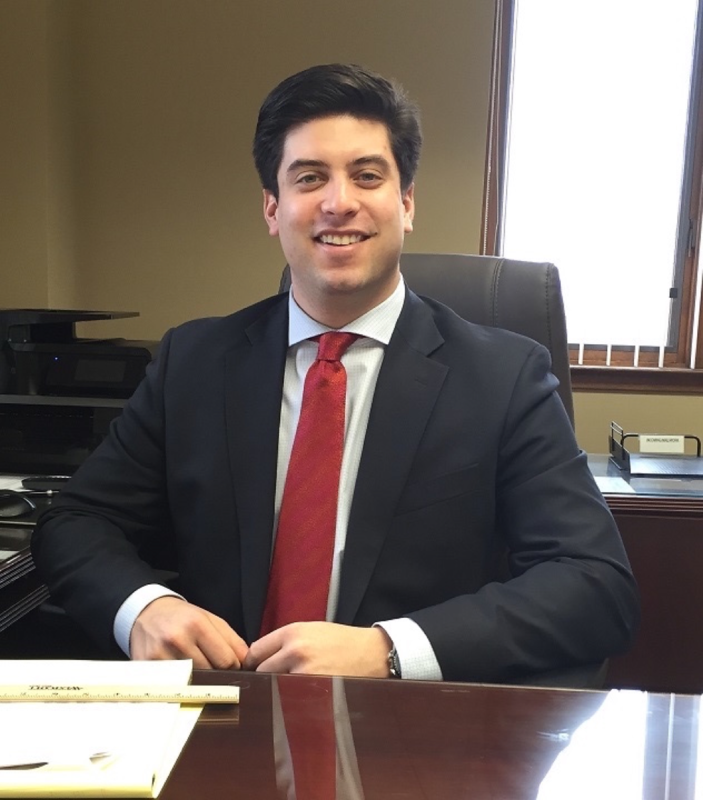 After graduating with his MBA in 2013, he joined Weintraub Financial Services, the business founded by his father Jay, nearly 40 years ago. For Max, the family business is more than just a career, “I get that feeling of fulfillment, that I’m helping people.” He is happy to work with other recent graduates on building a strong investment portfolio—which Max says is as easy as starting with $10 a month. He credits the support of Men’s Baseball Coach Pete Egbert with his decision to come to Misericordia; an experience that resulted in a successfulinternship, and ultimately earning a seat at Weintraub Financial Services. By day, she’s the Youth Minister at St. Catherine of Siena Church in Moscow, PA. In her spare time, she’s a world traveler with a passion for serving those in need. Shannon Kowalski is an alumna from the class of 2012. As a student, she traveled with Campus Ministry to Jamaica and Peru on service trips, as well as a Habitat for Humanity trip and multiple alternative spring breaks. She has been to two World Youth Day events, one in Spain, the other in Brazil, and has seen both Pope Benedict and Pope Francis in person. Shannon credits her participation in MU Campus Ministry as the catalyst to her altruistic wanderlust. In 2016, she plans to travel to Guatemala on a service trip, and to Poland for her third World Youth Day. From the MU studio to the sets of “Creed” and “Sully”, Matt Grant ’12 has covered a lot of ground in his first few years as a young alumnus. After graduating with a Bachelor of Arts degree in Communications, Matt headed to Philadelphia and began working as a freelance production assistant on various television and movie sets. Matt credits some of his success to picking up cues from his mentors along the way, “I got a feel of how they got to where they were going.” He also credits the real world opportunities with the Communications Department, including “Cougar Cast” and “You Said It” for giving him the drive to get the job done. We are very excited for Matt’s success, and look forward to his success in 2016!